Work from anywhere with the Suprabook mobile app. The Suprabook mobile app uses the same intuitive interface as the web app. It has the same powerful features as the web app. You can still build, search, annotate, and share. Download binders for offline access so you can use Suprabook offline. Use split screen to take notes and use Suprabook side-by-side. Use your fingerprint to login in quickly and securely. Add pictures directly from your tablet’s camera. Use your finger or a stylus to add annotations. 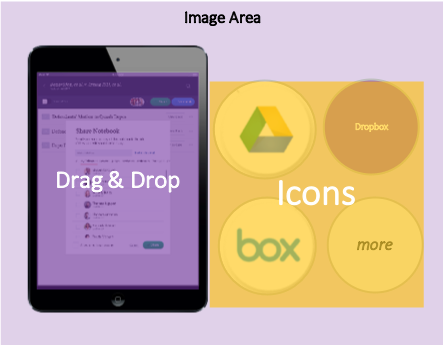 Add files directly from other mobile apps including Google Drive, Dropbox, and more. Use Suprabook on iPads running iOS 11 or later, and Android tablets running Android 4.1 or later. View vertically or horizontally. The interface adjusts seamlessly. As always, your work auto-syncs across all devices.